This is the first in a five-part series about the Breathe Life core values. Values. The set of principles which not only help guide us in our every day lives but also help companies build products, hire employees and scale up. In the early days of Breathe Life, it was crucial to me and the other Founders that we establish a set of values which we would adhere to as we grew from the four of us to ten or twenty or more. So what better way to hold ourselves and our team accountable than to publicize these values, what they mean to us and how we plan to follow them? When we set out to establish these values we knew we wanted 5 core ones, we wanted them to be straightforward, easy to understand and easy to live. We wanted to be able to, at any point in our future, ask our team if the values apply to their every day and have everyone nod their head and agree that that’s how we guide our work and our decision-making. We didn’t want to be a company that had 15+ different values to adhere to that new employees would easily forget. We also knew they needed to be scalable. Sure we were four people when we established them, but we needed them to still be relevant and easy to apply years down the line as we scaled up. I strongly believe that the 5 values we settled on perfectly represent how myself, Arach, JN and Seb work and what we believe in and, for that matter, how all 13 Breathe Life employees work. 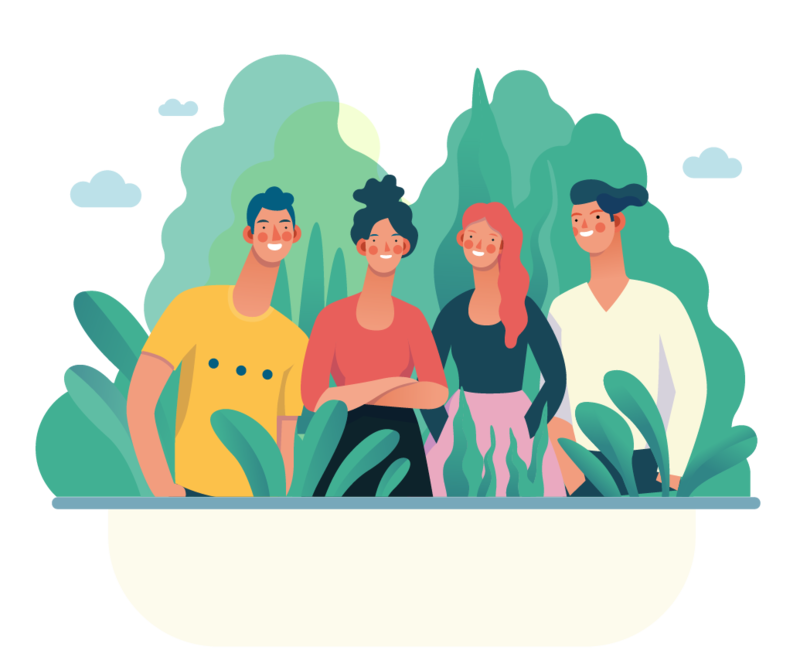 Our 5 values are Human, Trusting, Proactive, Resourceful and Playful, but to kick off this 5 part series on them, let’s begin with our first value — to be Human. What exactly does this mean to Breathe Life? It means that we expect ourselves and our team to work and interact in ways that are authentic, humble and honest. The exact daily implementation of it varies based on who you ask. Personally, I see this value as being crucial for building a team where everyone is happy and comfortable being themselves. What I mean by this is that everyone genuinely enjoys being in office, what they’re working on and who they’re working with. However, Seb, who is our Chief Product Officer, looks at this value from a product design standpoint. The view of this value varies again when asking Kenza, who is on the engineering team. She sees Being Human as facilitating a strong and understanding working environment within the team. Although this value is represented in different ways to different people, at its core it’s all about humanity. It’s about working well together, being happy and comfortable within the team and never forgetting that there are real people who need and use our products. To be Human is the first value we impart on new team members and is the one we consider to be the most important. I truly believe that you cannot scale a team unless all members practice authenticity, honesty and are humble. And it begins at the top, as Founders, we believe deeply in transparency and in always be open with our team members. They know they can hold us to the highest standards when it comes to being human with them. Have you or your team implemented values? I’d love to hear about how other companies are doing it and what impacted it has had on them as they scaled. Stay tuned for next week when I delve into our second value — to be trusting.